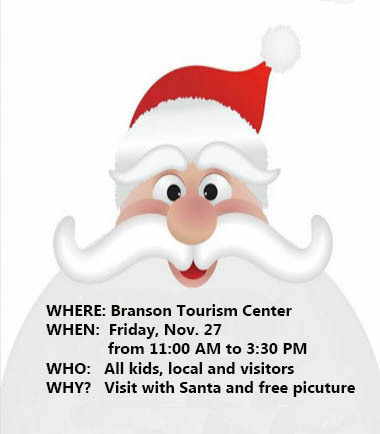 Santa Claus will be at the Branson Tourism Center (BTC), his favorite place, outside the North Pole, from 10 AM until 3:30 PM on Friday, November 27. 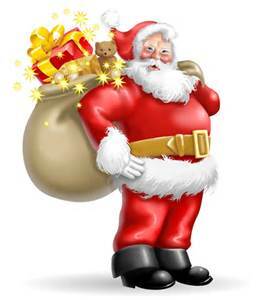 Bring the kids in to tell Santa what they want for Christmas and receive a complimentary souvenir photo of their visit with him. BTC is conveniently located on Branson Hills Parkway, in the Branson Tourism Center/Phillips 66 Convenience Store building, at the entrance to the Branson Hills shopping district and can be reached by phone at 417-334-4400. Merry Christmas from your friends and neighbors at the Branson Tourism Center! Street Maintenance on Various City Streets Continues. The Branson Public Works Department are continuing to work with Journagan Construction to perform maintenance on Shepherd of the Hills and Wintergreen Road. The road work will begin Monday, November 9th and end Friday, November 13th, depending on weather conditions. Road construction will be between the hours of 7:00 a.m. and 7:00 pm each day. Please be aware of signage and construction personnel and use alternate routes or expect delays if traveling thru the work zones. Branson’s Veterans Homecoming Week, America’s largest Veterans Day celebration, beginning November 5 and running through November 11, is a special and exciting time for Branson. 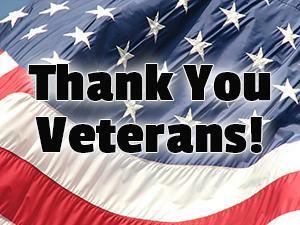 It is a special, dedicated opportunity to honor Veterans, active duty Armed Forces personnel, and their families in a way that goes above beyond Branson’s recognition of them on a daily basis. There are a large number of events this year; you’ll find details on each here on this dedicated web page. The Branson Public Works Department are continuing to work with Journagan Construction to perform maintenance on Branson Landing Boulevard from the “Roundabout” to the Hwy 248/65 “Diverging Diamond” Intersection. The road work will begin Wednesday, November 4th and end Saturday, November 14th, depending on weather conditions. Road construction will be between the hours of 7:00 a.m. and 7:00 pm each day. Please be aware of signage and construction personnel and use alternate routes or expect delays if traveling thru the work zones.